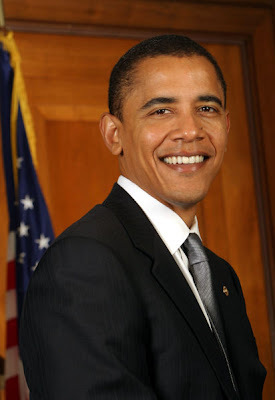 In my opinion, Senator Barack Obama is the voice of TRUTH in this presidential election campaign. Yes, OK, he should be talking about the state of the American economy (sigh…), but I respect and appreciate the fact that Obama thought it necessary to take time to address the state of race and racism in America. Not only did he need to do it to clear the air (and his name) in the fog of negative press surrounding his affiliation with the Reverend Wright, but in making this speech, he brings the issue to the table once again. American racism did not end with the Civil Rights movement. It will always be a painful part of our society – felt in the subtle statements, stinging glances and judgments within the minds of people interacting with each other every day. “I am the son of a black man from Kenya and a white woman from Kansas. I was raised with the help of a white grandfather who survived a Depression to serve in Patton’s Army during World War II and a white grandmother who worked on a bomber assembly line at Fort Leavenworth while he was overseas. I’ve gone to some of the best schools in America and lived in one of the world’s poorest nations. I am married to a black American who carries within her the blood of slaves and slaveowners – an inheritance we pass on to our two precious daughters. I have brothers, sisters, nieces, nephews, uncles and cousins, of every race and every hue, scattered across three continents, and for as long as I live, I will never forget that in no other country on Earth is my story even possible. Read & see the entire speech online at The Huffington Post.